DETROIT -- General Motors is funneling cash to dealers in major California markets to help them renovate stores, another step in GM's push to buff up its dealer network in growth markets where its sales have trailed the overall market. In recent months, GM offered upfront cash payments to about 100 dealers in and around San Francisco, Los Angeles and San Diego, in amounts ranging from several hundred thousand dollars to more than $1.5 million, according to people familiar with the matter. More than three-quarters of the dealers agreed to take the money, one of the sources said. -- Dealers must agree to maintain their locations as GM-only points for 10 years. -- The money must go toward renovations or relocations, to be completed by a set deadline. -- Dealers who violate the terms must repay the money and pay a penalty. GM spokesman Tom Henderson acknowledged that the automaker is "engaged with dealers in San Diego, Los Angeles and San Francisco metro markets" on facility improvements, but said the details are confidential. "We're continuously exploring ways to improve the customer experience, which includes upgrades to dealership facilities," he wrote in an e-mail. The targeted payments underscore GM's commitment to build customer retention in part by transforming Chevrolet, Cadillac and Buick-GMC stores into contemporary, inviting places for customers to shop and have their cars serviced. 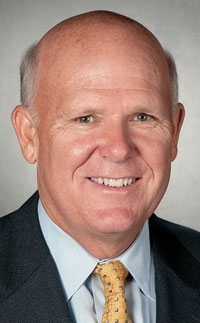 "We do have specific programs for certain areas of the country to help spiff those [dealerships] up and bring them into the 21st century," GM CEO Dan Akerson told Automotive News last month, without naming any target markets. "There are certain cities, I know, where our market share is the lowest." Akerson said he's "concerned about how some of our dealers look like they were right out of the '50s and '60s." 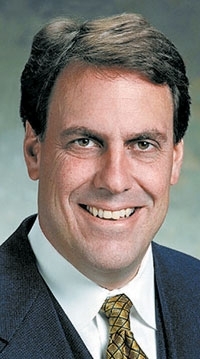 Akerson and North American President Mark Reuss have emphasized customer retention as a key to sustaining GM's comeback from its 2009 bankruptcy. Buoyed by success with fuel-efficient small cars such as the Chevrolet Cruze, GM officials have high hopes for increasing market share in California by wooing traditional import buyers. The money for dealership improvements is on top of the quarterly payments GM makes to dealers under its nationwide image program known as Essential Brand Elements. Under that 2-year-old initiative, dealers who agree to renovate stores and work on training, digital strategy and customer retention receive quarterly payments that amount to around $50,000 to more than $500,000 a year, based on sales volume. One California Chevrolet dealer who agreed to take the money said his field rep told him GM wants to ensure that it gets buy-in on the facility overhauls from dealers in the Golden State, long a weak spot for GM and the other domestic automakers. The dealer said he's comfortable with the 10-year GM-only requirement because he's confident of the future of GM and Chevrolet. He said the money will help defray high construction costs in California, though he already had planned to overhaul his store. "It's just going to help me lessen the pain of construction," said the dealer, who didn't want his name used. Eric Chase, a Florham Park, N.J., lawyer who represents dealers, said a 10-year exclusivity requirement is relatively short. Periods of 20 to 25 years are more common in franchise agreements, he said. In 2009, Chrysler Group required dealers seeking to add franchises to commit to 30 years of site exclusivity. "For the dealer who intends to stay at that point, it can be viewed as free money," said Chase, who is not working with clients who have agreed to GM's deal in California. The payments could rankle some dealers, though. Dealers who weren't offered the cash but are near rivals who accepted the payments are likely to cry foul, says Richard Sox, a Florida dealer lawyer. Said Sox: "These incentive programs always create tension and raise questions about fair treatment."